Traffic backs up along the Massachusetts Turnpike near Allston. If you are a regular user of the Massachusetts Turnpike, you have ample reason to feel aggrieved. 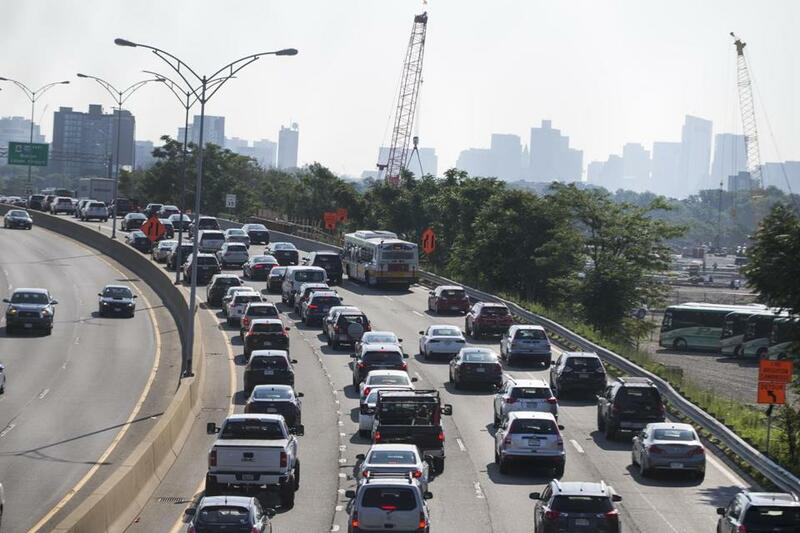 For starters, west-east commuters are paying extra in tolls for the Big Dig, a highway project whose principal benefits run north-south: That is, the Thomas P. O’Neill Jr. Tunnel, the Leonard P. Zakim Bridge, and the widening and other improvements that have made driving life much more efficient and pleasant for those who commute on Interstate 93. But if, as Napoleon (supposedly) said, geography is destiny, it seems to be the fate of Boston’s western suburbs to finance highway improvement for the northern and southern communities. At very least, however, the state owes the Pike’s regular users cutting-edge technological conveniences. Pike drivers have been hearing for some years now that technology is about to help untangle the slowdown and periodic congestion at the toll plazas at Weston and Allston, where E-ZPass and cash-paying drivers must sort themselves into the proper lanes and brake to 15 miles per hour to pass through the plazas. Meanwhile, nearby states (hello, New Hampshire, bonjour, Maine) have found ways to get drivers through their tolling points more efficiently. Those methods include highway-speed (or open road) tolling lanes, where drivers can pass through and be tolled without slowing. That innovation finally arrived in limited form in Massachusetts in July 2014, on the Tobin Bridge. As bridge users know, the toll plaza there is now gone. Sensors overhead communicate with E-ZPass transponders. If a car doesn’t have a transponder, the system takes a photo of its license plate and sends a bill. Florida a model for plans for toll roads in Mass. But even though that system is designed to let drivers pass at highway speed, that won’t be possible immediately, because the toll plazas themselves first have to be removed. That process will start as soon as the all-electronic system is up and working, Tinlin said. Still, given that there are 32 different tolling sites (including entrances and exits) on the Pike, he doesn’t anticipate the roadway being completely toll-plaza-free until sometime in late 2017 or early 2018. That’s a change which has been too long in coming. The state should do its utmost to hold to that schedule. Pike drivers have long deserved more. At this late juncture, they certainly deserve no less.